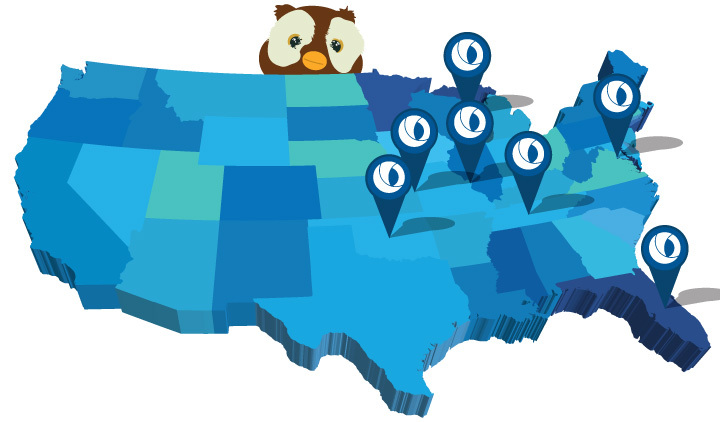 Hoot-E Says… It’s Our Anniversary! And, we want you to celebrate with us! Watch our social media channels, the Knowledge Community and News You Can Use for anniversary fun throughout 2019! If You Want to be The Best, You Have to Train with The Best! The Accredited ACH Professional (AAP) exam pass rate for participants in our AAP Prep Program surpasses the national average, year after year! AAP Prep Program Kicks Off May 16th! It’s Time to Map Out Your Journey on The Road to Faster Payments! Join us in Columbus for over 30 informative sessions, TWO optional pre-conference workshops, leading industry experts, peer-to-peer networking, innovative solutions and more! NEW!!! Professional Development Workshop and Sessions! NEW!!! Fast Lane Headshot Pit Stop! Will the removal of Appendix 8 from the ACH Rules impact your audit? This one-day, in-person seminar will walk through how to conduct your ACH Rules Compliance Audit, examine 2019 audit changes and discuss common audit findings. 2019 ACH Audit Changes Stressing You Out? Leave your ACH Rules Compliance Audit to our expert AAPs, APRPs and NCPs! Book your audit by May 15th and have it conducted by June 28th to SAVE 15%! Are you rolling out or expanding your ACH Origination offerings? Hiring a new employee? Taking a closer look at your policies and procedures? Whatever is on your list, our Advisory Services can help! And, member pricing makes us affordable! Pick up copies of this month's featured publications, Quick Reference Cards! We are currently experiencing an outage in service with regards to our toll-free 800 phone number. All other phone numbers are working and you can contact our offices by using the main EPCOR number, 816.474.5630. We apologize for any inconvenience. Mary Jo Grenig, AAP, Operational Support Manager, Emerald Credit Union shares why she chose to obtain her AAP certification. The Faster Payments 101 tool is designed to help financial institutions understand their faster payments options. Commercial Reclamations: Do I Have to Send the Money Back? As a Receiving Depositary Financial Institution (RDFI) what are your responsibilities? Hoot-E would like to introduce you to Jennifer Kline AAP, APRP, NCP, Director, Audit Services. Don’t Be An April Fool – Get the Most Out Of Your Membership! All the offerings mentioned in your weekly newsletter make me realize I could be doing more. Where do I start? This map depicts the industry events that EPCOR is attending during the current quarter. To learn more about EPCOR membership categories or to download a membership application, please visit our Join Now page.